I don’t have a lot of experience with freezing cookies decorated with royal icing. UNdecorated ones; no problem! Freezing them in airtight containers between layers of parchment paper, and then thawing them to room temperature before decorating, has always worked for me. In fact, it’s a great time saver if I’d like to make my cookies for a certain date, but know I won’t have tons of time. Making and freezing the cookies ahead means I can just do the fun part (decorating of course! ), when the time is near. So why the nutcracker here? I made him before Halloween. Ahem… um, yes, before Halloween – I was itching for Christmas this year 😉 and needed to freeze him so he’d be fresh for the Christmas season. (Click here for the recipe and more pics). Once he was thawed, the colors didn’t bleed like I had anticipated, but I noticed little splotches on his navy legs. (See below). What has been your experience with freezing decorated cookies? How do you thaw decorated cookies? -In the fridge or at room temperature? -Is the container lid on or off when you thaw them? 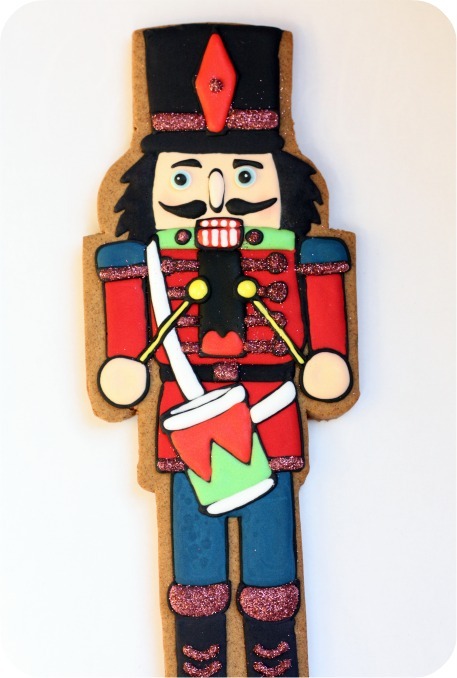 Why would only the dark color (navy) on the nutcracker, have spots and not other areas? What are your tips for successful freezing of decorated cookies? As an aside as well, I’ve recieved many emails about spots on cookies which have nothing to do with freezing… and I’m wondering if the two issues are related. Please leave me your feedback in the comment section below and/or on my facebook page here. I’m wondering what you all know and think about freezing royal icing? I wonder if there is any reason to, first of all. I have been making larger batches of my colors and freezing them in ziplocs. It seems to be working well for me. It is wonderful to have icing ready to go! Can you discuss this sometime? I’d love to get you and your reader’s feedback. Thanks! That’s funny you mention that! Amber just asked me a question regarding freezing royal icing under my ‘storing royal icing’ post and I didn’t have an answer, as it’s not something I’ve done. Thanks for letting us know Lisa; I most definitely will experiment with that, do a post on it, and ask for everyone’s feedback. I’ll perhaps refer to you and your idea if you don’t mind? Sure thing! I am excited to hear what everyone thinks. I will let you know my findings as well. I have a question about thawing out cutout but not decorated cookies. When you bring them to room temp do you leave them in closed container–or take the lid off–or remove them completely and put on rack or wax paper???? BTW your cookies are unbelievable—I’ve got to take your advice and get Kopykake projector!!!! Also just wanted to thank you for always sharing your hard work and efforts with all of us. You are valuable resource for me and my business! @ Jean, @ Angela: I generally leave them in the container with the lid off. All the best, ladies! I recently froze a decorated cookie with great success. It was only two colors and oval in shape, sugar cookie with Royal icing. I put it in a fold over bag with a sticker on the back and put it in the freezer for two weeks. When I took it out the color was just like original and the flavor was fine as well. It was a trial run for me for a customer who wanted to distribute a cookie at a time to customers. Hi: regarding freezing cookies: I’m just curious if you feel like it makes a difference in the flavor and texture if the cookies are baked vs unbaked when you freeze them? To me it seems like the cookies might end up drying out if they are already baked? But maybe you would only detect the difference if you tasted them side by side with unbaked frozen ones. If I’m going to be tight on time, my first choice would probably be to freeze cut out and unbaked cookie so they could be bake fresh just prior to decorating. What are your preferences when you can afford to be picky? Love your blog! All my friend’s think I’m a genius, but I explain that I jus do whatever your blog tells me to. Am finally mastering the art ofgettig the icing consistency right after many years of botching it! thank you so much for this – I want to do my own wedding cakes & cookies and really want to use some of your tips and tricks and this was on my list to find out – will cut down on the stress for sure! 🙂 thank you! I have frozen sugar cookies for years with no problem whatsoever. I don’t even bother with paper between layers. I unfreeze them in the container. However, I have frozen decorated cookies, but like you found, it isn’t as simple. I usually only freeze them for a few days….just to keep them fresh until I am ready to use them. I layer them between parchment paper and then cover. When I take them out of the freezer, I move the cookies to a shelf in one layer and let them air dry. They always defrost with condensation, so keeping them in layers isn’t a good idea. The ones I have done this with have not been with dark colors. I think that may be the difference. Your cookies are fabulous. Mine don’t hold a candle to yours, but they are always devoured!!! Question- Has anyone tried moving frozen decorated cookies from the freezer to refrigerator a day then to the counter to finish defrosting? Curious if it would change the outcome and stop the spots? HI @ Brenda and @ Nina: Thanks so much for your tips! I really appreciate them, and am sure others will as well! Hi @ Sara Fotakis: They seems to taste the same if they’re frozen either way. But yes, I think it’s a perfect idea to test out your recipe and compare frozen and fresh ones -all you can do is try! Thanks so much for your kind comments btw. =) I’d love to see your cookies if you’d like to share them on my facebook page. I saw this post about freezing royal icing – how do you thaw it? Is there a difference in consistency? I’ve froze cooked and uncooked cookies before and have been happy with the results, but not decorated ones or the icing itself. Interesting! Hi there @ Lynn! I’m definitely not an expert in freezing cookies, as I’ve only done it a handful of times. I suggest reading through the comments to see how other (successful attempts) were done. All the best! Marian you are so generous to share all your best tips! You rock. Recently I used black food coloring for the first time and wondered if it was normal to have to use so much to get the color a true black. I couldn’t find an answer anywhere and then I thought, of course, to check Sweetopia, and there it was- the answer that let me breath easy and confirm it was indeed normal 🙂 You are truly so talented and wonderful. Thank you again for your willingness to share your best tricks with the all of us as we aspire to your level of skill and beauty on your cookies. Aw, @ michele martin, thank you so much! There is a blog entry on Bake at 350 that beautifully explains how she freezes undecorated and decorated cookies with ease! Thanks so much, @ Tina Dahl! Rubbermaid containers. And not more than two layers for large cookies. I have kept them frozen at least four weeks. Like Nina I lay the cookies out in a single layer (with a fan on them) to dry while defrosting. Lastly the only time I had the discoloration or spotting you refer to was on a large deep purple cookie. I haven’t needed to make another dark cookie since. Thanks for your gorgeous cookies pics and blog. You are an encougager! I also use a sugar glaze to cover most of the cookie, a softer royal for outlining. I do freeze decorated cookies usually never more than 3 months. They just aren’t as good by the end of January. Or maybe I just want to do fresh Valentine cookies 🙂 .I air dry on grids for at least 2 days then freeze between layers of wax paper. I put them also in rubber maid type containers. I try always to thaw at least a couple of hours on grids on the counter for large amounts. For just a few they get thawed right on a plate. I do not wrap until thawed because I’ve found they aren’t as crisp when the moisture is held in the wrap. 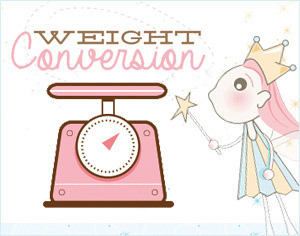 And I do want to say I just love Sweetopia, style, tutorials, recipes ,.just all of it thanks for sharing! The cookies I make freeze well. I haven’t noticed any spotting on my decorated ones but I don’t use royal icing either. When I take them out of the freezer, I leave them in the container they’re in. I recently froze some on a pizza pan with no lid and they came out fine. Once thawed they were as soft as if fresh baked. Can we freeze a ball of dough? I mean dough that is unrolled? And maybe just roll it out before cutting out shapes? It’s because I don’t think I have that much freezer space for a rolled out (in tray) dough. Personally, how long do you thaw frozen cookies? And what could possibly be the shelf-life of frozen cookies? I have read through the comments and noticed that some people have frozen it up to three months? Could that be the maximum? What do people mean when they “allow cookies to dry up in the sun?” It might mean simply exposing decorated cookies over sunlight, right? Yikes I hope i don’t seem silly asking this 😉 Thank you. Thanks, @ Eva for sharing! Hi @ Jayvee: Yes, you can, it’s just a bit more work as it’s harder to roll when it’s cold. Let it thaw until it’s workable, cut your shapes out and chill them again. I’m guessing maximum 6 months for freezing time but have left mine for maximum 3 thus far. No worries about the sun question… I think some people find it sets the icing/helps it dry faster, however I have also heard the icing is then more prone to getting spots on it (butter possibly from the cookie from the heat of the sun). I haven’t personally tried it. @ Madeleine: I’m sorry, I haven’t tried candy flavoring but if you try it would love to hear about it!! I prefer Americolor gel coloring as I feel like I’ve had better results with humidity with them compared to any other GEL color. I never use liquid coloring as it seems to take a lot more of it to get the colors I want and then the icing consistency changes. Lucky girl in Hawaii 😉 if you haven’t seen the posts I’ve done about humidity, if you’d like, check them out. Love your blog…so helpful to inexperienced decorators. When everyone talks about putting the cookies in bags before freezing are they meaning individual freezer bags (ex. Ziplock)? Or do they mean using a cheaper individual storage bag that is small and just flips over to close and then putting all of them in a big Freezer Bag? Very interesting….I’ve learned so much just reading your post and these comments. Have you learned anything new since writing this article? HI @ Annabelle: I think they mean ziplock bags, those freezer ones would be best I’m guessing. I haven’t actually tried any new methods of freezing since this post – have just been making cookies close to the time they’re needed. I’ll definitely write another post if I do experiment more. 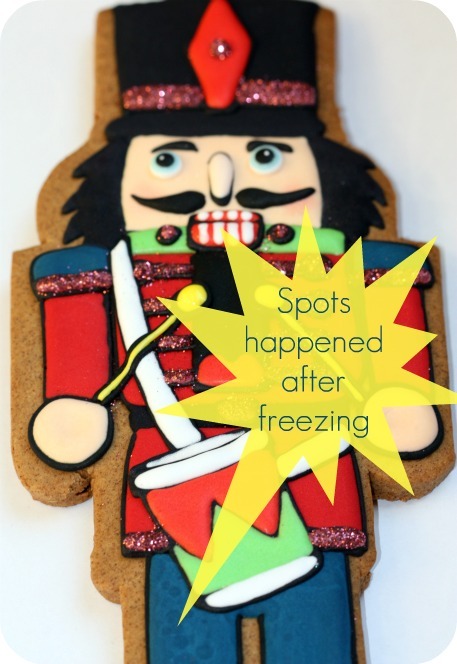 Hi Marian- I’ve had a very strange thing happen when I froze some baked undecorated sugar cookies. I put the cookies between layers of parchment in an airtight container in the freezer. When I checked them later to add more I noticed most of them had spots on them. Some did not. They were all made from the same batch of dough. I have done this before with no problem-using the same recipe. I read all the comments and questions but did see this come up- only with iced cookies. What is your thought on this? I wouldn’t be so concerned if my plan was to ice the whole cookie but my decorated idea will only cover parts of it. Lot of the cookie will be seen as is. BTY -I love your site and thankful for all you share with us. 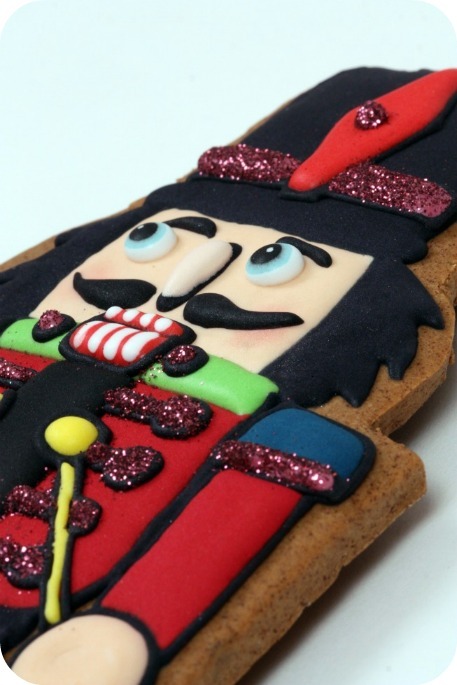 Hi, I freeze decorated cookies all of the time, ones just like the nutcracker above. I make so many for Christmas that I don’t have a choice. I start baking in August or September and freeze cookies until about 2 weeks before Christmas to deliver to family and friends. I just freeze them in freezer zip lock bags with wax paper in between. If they are especially fragile I will sometimes use a container that can withstand the freezer. I usually thaw the cookies right in the bag with no problems and sometimes I put them to individual cookie bags and they also thaw well right in the bag. Very rarely do I get any spots, once in a while, though if I didn’t let the cookies dry properly then there may be some wetness in the icing (only has happened once or twice on one or two cookies). I think the icing was too runny and didn’t dry all the way through before freezing. As for spots in general, I do get them sometimes if it is humid or if the icing is too runny. I don’t think the cookie fat is an issue. Hi Marion, I think your website is amazing!!! I am new to flood icing cookies, and have read all the comments above about freezing them. How long can you keep iced cookies WITHOUT freezing? Can they be stored in an airtight tin for a week or two? I would really appreciate your help! If you are making cookies for kids to decorate on a thursday, on a tuesday. How would you store them in the meantime? Seems like freezing would not be necessary right? No, in a sealed container would be fine for that time period. i always freeze! seal them in ziplock bags (even stacked with parchment layered between). thaw them withOUT opening the bag…so the condensation stays outside. viola! I made some cookies a couple of weeks ago and they have been in my refrigerator undecorated the entire time. Should they be ok to decorate and eat? They have been in airtight containers and ziploc bags. Hi! I just had a client request a large batch of 100 cookies and she wants to know how long she can freeze them so that she can take them out and send to her customers as thank you gifts. What are everyone’s thoughts on decorated cookies (with glace as base and RI decorations) which are individually shrink wrapped? How long do you think they would freeze well? A few months? I’m thinking it would be awhile…. Thanks for sharing excellent informations. Your web-site is so cool. I’m impressed by the details that youˇve on this web site. It reveals how nicely you understand this subject. Bookmarked this website page, will come back for more articles. You, my pal, ROCK! I found just the information I already searched everywhere and simply couldn’t come across. What a great website. I want to decorate my sugar cookies with candy clay. Do you think I could freeze them? I’ve been doing some reading on your website. Quick question to any avid bakers. I am ok with freezing undecorated cut out cookies but do the chocolate, peanut butter and ginger bread cookies freeze good too? I want to “try” and get a head start on cookies this year and was hoping to get the baking out of the way so as xmas get’s closer I can decorate them later. I don’t freeze decorated cookies anymore. I have had lots if problems with colours bleeding, spots forming, and I find the colours become dull. Would love to know if I’m doing something wrong! Thanks Sherry, sounds like a good idea.